Most Available land are sold by Real Estate companies to Domestic users in 7-10 Perch Blocks,With this Continuous & ongoing Practice, Land for Businesses / Commercial Use are fast Dwindling. But However this Block of Commercial land, Which I have owned for 30 years, I would like to sell Outright to a " Actual User ". It is Geared to serve your purpose. 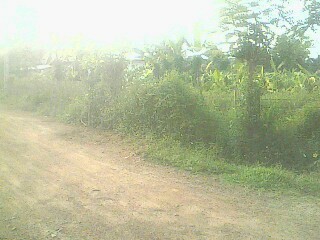 So therefore Sir, / Madam " Here is the Best opportunity for you to Buy a half Acre of land in Homagama ". 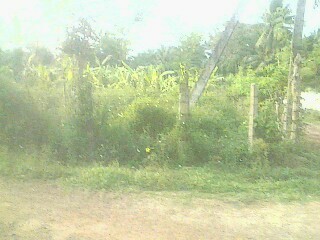 * RECTANGULAR & LEVEL BLOCK OF CULTIVATED LAND. * IDEALLY SUITED FOR COMMERCIAL PURPOSE : - FACTORY / WAREHOUSE / STORES OR EVEN APARTMENT COMPLEX. * 20FT ROAD – FROM 2 SIDES - ELECTRICITY / WELL WATER / TAP LINES INSTALLED. * CLOSE PROXIMITY TO MAIN ROAD - BUS ROUTE 129 & 280 ( 800 METERS ), & MORAGAHAHENA TOWN. * POLLUTION FREE, PLEASANT SURROUNDINGS & SCENIC VIEWS OF LAND SCAPES. * CLEAR TITLE / DEED / PLAN. C). Directions to the Relevant Land. 3). Owners Address : No- 20D, Degasau Mawatha, Molpe, Moratuwa. 5). National ID : 650663020V. Convenient date to both parties. Kindly awaiting your Call OR Reply by mail at an early date. Do Not Miss this Golden Opportunity for Your company & Businesses to invest for the Present & Future.